Dental bridges are prosthetics engineered to replace missing teeth. Their structural integrity within the mouth replies upon the two abutments anchoring the bridge. These abutments can be natural teeth, teeth capped with crowns, or dental implants. According to research, almost 70% of all Americans between the ages of 35 and 45 have lost at least one tooth either through an accident, gum disease, decay, or failed root canal. For many of these people, a dental bridge can be a second chance for a great smile. Dental bridges may be made out of porcelain, porcelain and metal, or gold. Great care must be taken when creating and fitting a dental bridge so that it conforms to the contours of the patient’s mouth. If a patient decides that a dental bridge is the right option after consulting with his or her dentist, the dentist, or the dentist’s assistant, will make a mold of the patient’s teeth for the dental laboratory that is preparing the bridge. The abutment teeth may need to be reshaped in order to support the new bridge more effectively. The ideal candidate for a dental bridge is someone who understands the importance of good oral hygiene. When properly cared for, a dental bridge can last as long as 15 years. It can be challenging to keep a bridge completely free of plaque, but fortunately some helpful products have come on the market in the last ten years that can greatly facilitate this task. Superfloss is a specialized kind of dental floss that comes in precut segments with thin ends, optimized for slipping into the tight spaces between the bridge and the gums. Floss threaders are also useful for cleaning that hard-to-reach space. Of course, you must also brush your teeth after every meal, and visit your dentist twice a year for regular checkups, and a professional teeth cleaning. Which Toothpaste Is Best For Sensitive Teeth? Can You Floss Your Teeth Too Much?  Congratulations to Daxon Dentistry on being the on top Dentist in Saint Petersburg ranking of 2015. © 2019 Daxon Dentistry. All rights reserved.